This is one of my all time favourites and I bumped it up my list of books to review this month in time for day ten of Blogtober! I first read it about seven years ago when I was eighteen, not long after watching the original 80s TV series at the recommendation of a colleague. The Day of the Triffids revolves around two narrative points; bioengineered carnivorous plants have been accidentally released into the wild and cultivated for their useful oils; a meteor shower so bright that it blinds anyone that looks at it. The combination of these two things leads to a largely blind population (the exceptions being people who were incapacitated during the meteor storm and not watching) at the mercy of killer plants that have evolved without a sense of sight. They move, their stinging vines will kill a person and they now have the advantage. It sounds ridiculous, and it is, but I love it. 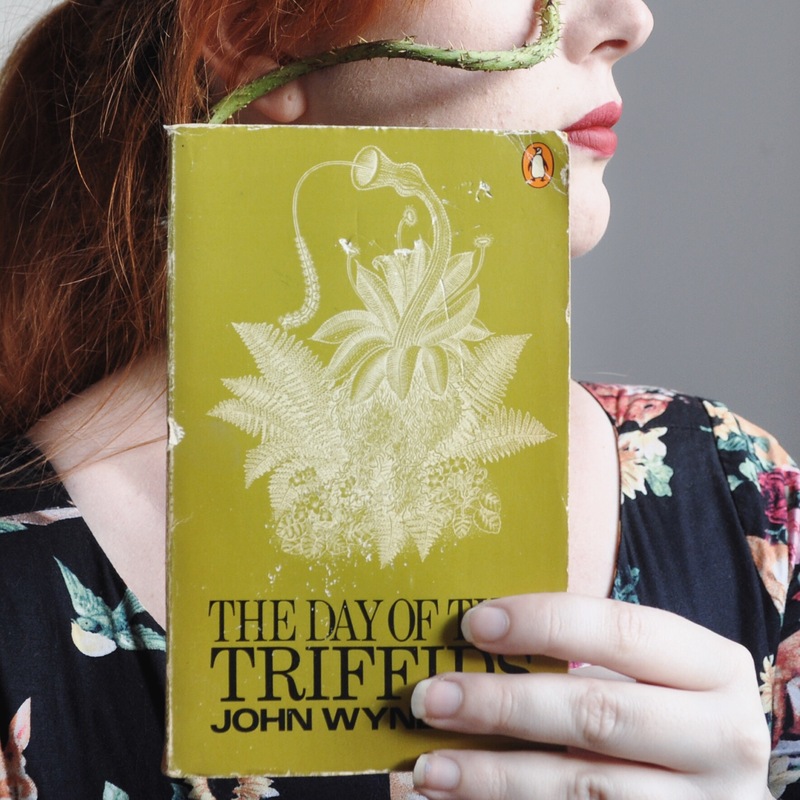 The Day of the Triffids is another one of those post apocalyptic novels that I love because it highlights the best in humanity. While 1984 and Brave New World have their place with their bleak outlook of our nature and futures, I do really like the kinds of novels that create strong relationships between characters in the wake of disaster. There’s rebuilding of civilisation where no one is left behind and families are forged amongst strangers. 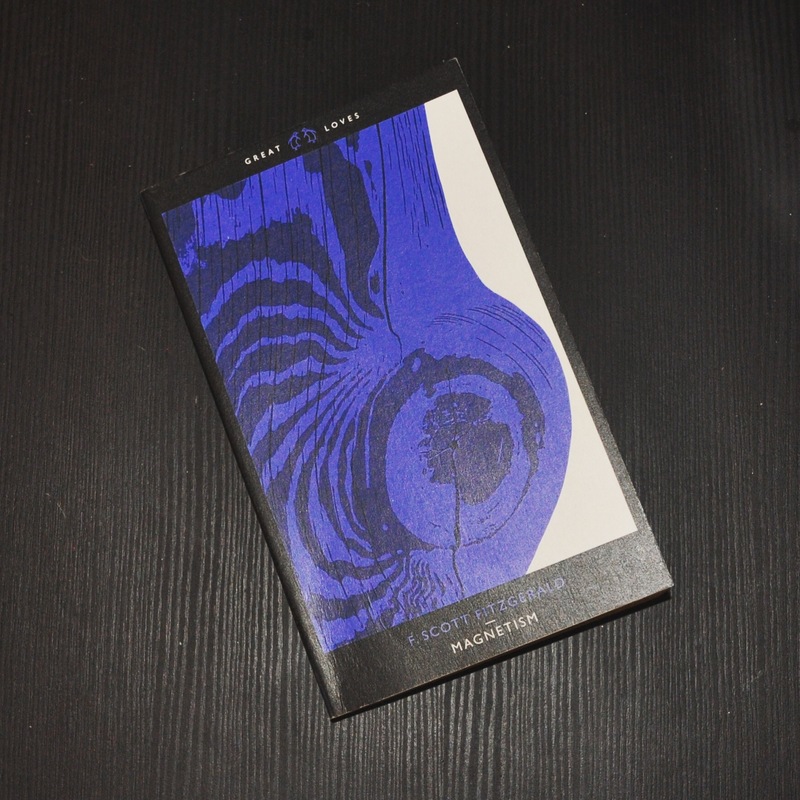 My classic for this month is a dip into the world of F Scott Fitzgerald. I’m also reading The Great Gatsby, but I started with Magnetism, a collection of four short stories on the subject of love. It’s one of a collection of 20 books in the Penguin Great Loves series that I bought together back in 2007. Despite a great love of literature from the tail end of the Victorian era onwards I’m always surprised whenever I read books from that period that are funny. Which is even stranger because I tend to find that a great deal of them are. In any case, I’m used to a distinctly British approach to the early 20th century so these stories were a nice change. They dealt with the hustle and bustle of New York in the twenties… As well as ‘summering’ in the Hamptons (imagine!). I suppose they each contained some sort of love scandal, although I think the drama is very much of its time and nowadays seems a bit quaint. (In particular, the local scandal of Bernice bobbing her hair). Magnetism was a nice introduction to F Scott Fitzgerald (who was recommended to me by my friend Leslie). I feel like Gatsby is a staple in US schools and has never struck me as a necessary read, until now. I liked the theme of love and the way they all grouped together (the specific theme of this book within the series is Love Is Trusting) whilst also all being very different. I’ve made it my aim to read and review a classic a month. January was A Study in Scarlet. 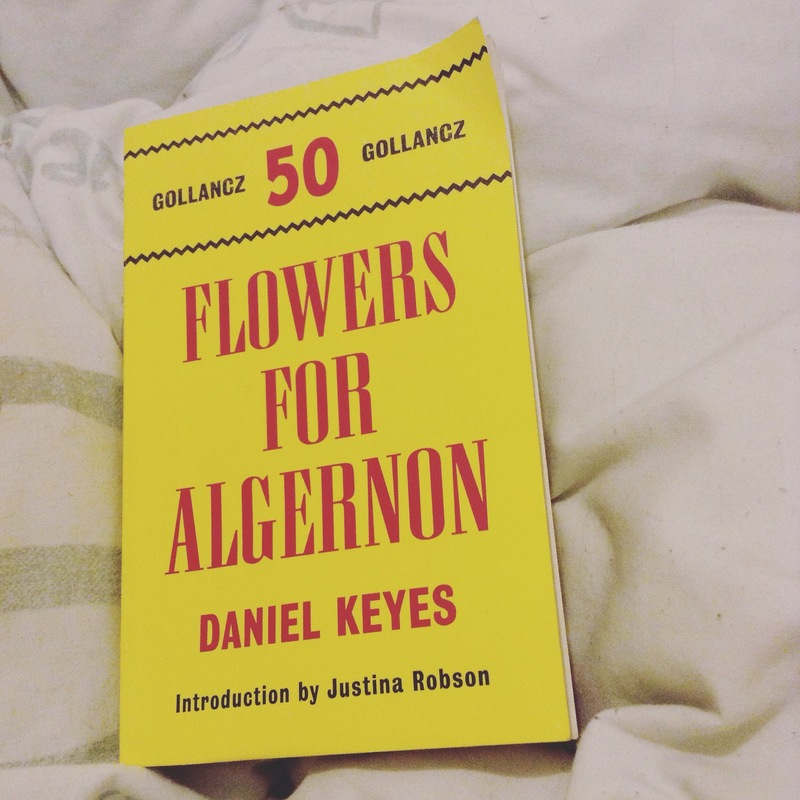 February was Flowers for Algernon. I’m technically a week late on my Classic Mondays post this month. But in my defence I arbitrarily set my own day and the first of the month has no business being on a Monday in any case. This month I read Flowers for Algernon and I kind of feel like life will never be the same again. It’s a bit like when I watched It’s A Wonderful Life for the first time and knew that here was something that had touched me in a way very few things have. The plot in brief: Charlie is a friendly man with an IQ of 68 who is chosen to be the first human to undergo surgery to enhance his IQ to genius levels. His predecessor is a mouse called Algernon who has so far been the first mouse to display seemingly permanent results. The book is formed of a series of ‘progress reports’ written by Charlie, at first in the form of badly spelt and barely punctuated short entries and his increasing intellect is shown by improved grammar, vocabulary and interests in the world. Intellectually, he is growing at unheard of speed. Emotionally he has been left behind and must navigate his life with increasing frustration. The end broke my heart and I ended up crying so much on the train that the train inspector failed to check my ticket. My advice would be to not read the blurb before you read, because most seem to give away the ending. Not that I was in any way less emotionally wrought from knowing what was going to happen but I feel like you would get a slightly more enhanced experience. But if you must read the blurb, still read the book. Read it now and bask in emotions you may never have felt before. One of my New Years reading resolutions was to read more ‘classics’ this year. My vague aim for this year is to review one a month, and I guess the first Monday of the month is as good a time as any! Back when I was at university one of my major modules was Victorian Literature and it was one of the few that managed to get through the fog that was my mental health back then and encourage me to pick up the books I was supposed to be reading. I hadn’t picked one up since I graduated. So, I was excited to read this classic, especially after watching the most recent episode of BBC’s Sherlock. 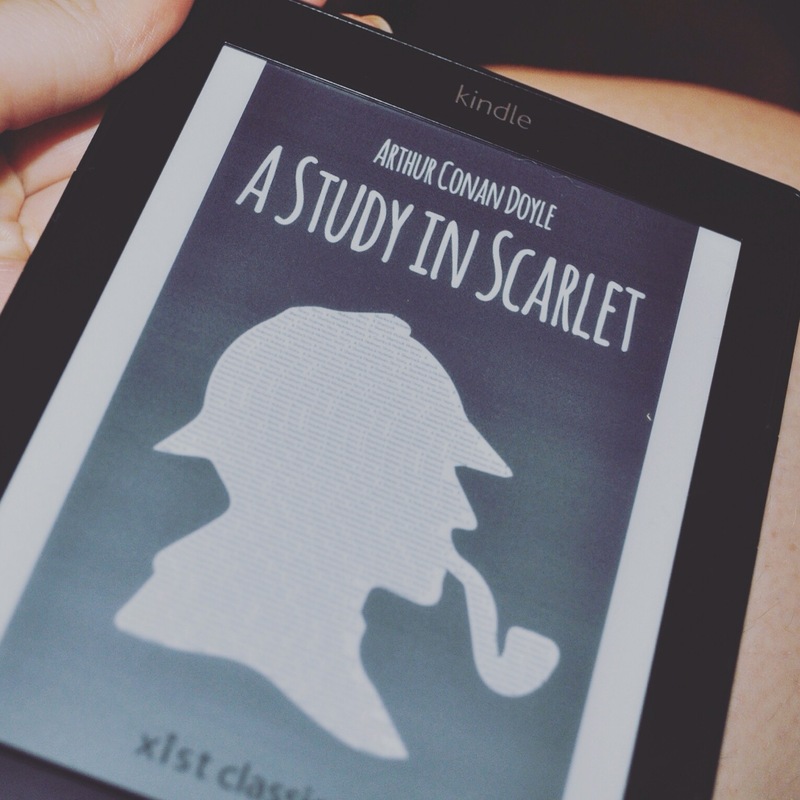 I downloaded the complete Sherlock Holmes Canon onto my new kindle but wanted to start with A Study in Scarlet as it introduced the major characters, before I move onto the mammoth task of reading all four novels and fifty six short stories. The first thing that struck me was just how funny I found it. Perhaps because I’m so used to reading bleak Victorian novels like Wuthering Heights, the farcical nature of John Watson following Sherlock Holmes around in awe as he uses ridiculously slight clues to solve mysteries seems a lot more obvious. It reminded me more of a PG Wodehouse novel taking itself seriously more so than the Bronte Sisters or Dickens. That’s not to say that it was all a romp around London with two new friends and an inept police force. I also really enjoyed the interlude in America, after we find out whodunnit and need to know why they dunnit. Despite the unexpected murderous Mormons. I’m looking forward to reading more. I think the short stories are next for me but A Study in Scarlet was a good introduction back into the world of classics for me.